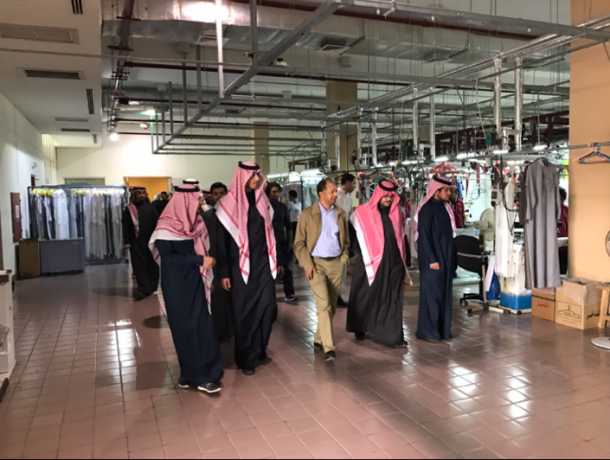 Al Faisal University’s College of Business gave male business students the opportunity to visit Saudi national dress Company. The trip date was held on 22 December 2016. The purpose of the tour is to show the students Operations and Supply chain management practices at Mashar Tailor Establishment, Twenty-Four students participated in the educational tour in order to yield insights into how real-life firms have turned management strategies into sustained competitive advantages by using efficient supply chain practices. The male students were accompanied by Dr. Mario Ferrer to spot the experience on Mashar Tailor Establishment Factory.